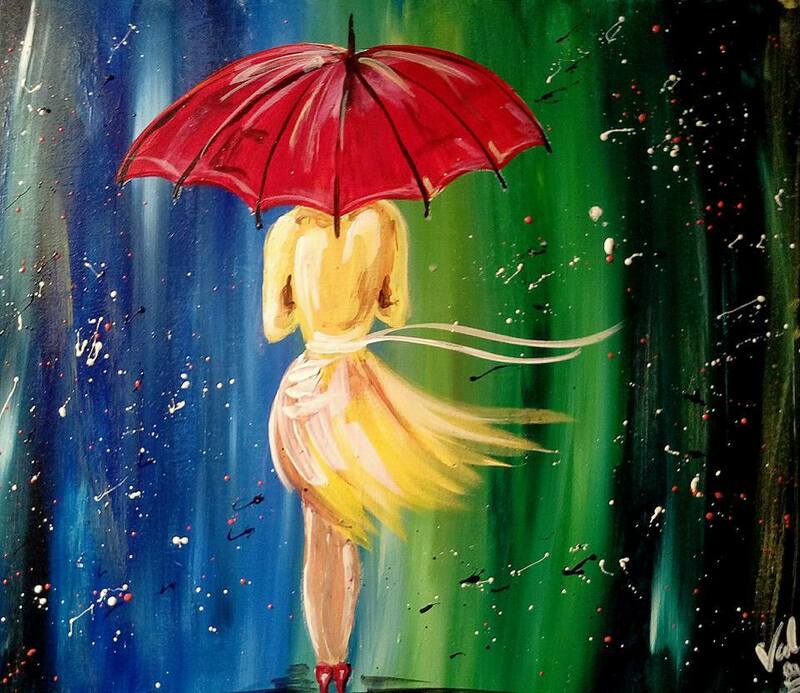 Enjoy our unique paint class on select Wednesdays during the fall/winter at McKenna's Place Port Orange as Paint O Rama hosts a flavorful and colorful evening for you and your friends to enjoy! No artistic skill needed. Seriously, we'll guide you every step of the way until you have a finished masterpiece to take home. Paint O Rama is the area's only 5 star Mobile Paint N Sip company 2 years running! Thanks to a unique take on a paint class combined with adult drinks and food, with entertaining and educational instruction. Our purpose is all about having fun, creating memories with friends/family and expressing yourself through creativity! So what are you waiting for - click the link below and get your tickets today! We have all the supplies so just bring yourself and get ready to paint and party the night away! Please feel free to take advantage of the amazing menu before class starts by arriving 60 minutes early ( or eat after class) Then - grab an apron, a drink, a seat and be prepared to impress yourself! Tickets are limited and are $25 per person. Reservations are REQUIRED. Spots fill up fast so reserve now! Refunds available with at least 48 hr notice. Less than 48 hour notice will receive class credit only. No call No show = No refunds. No exceptions. Handicap seating available. Must be 21 or older to consume alcohol. Please drink responsibly.